Maybe you're just looking for something easy to eat, and a bit salty? Why not make it a bit healthier (and tastier in my opinion)? 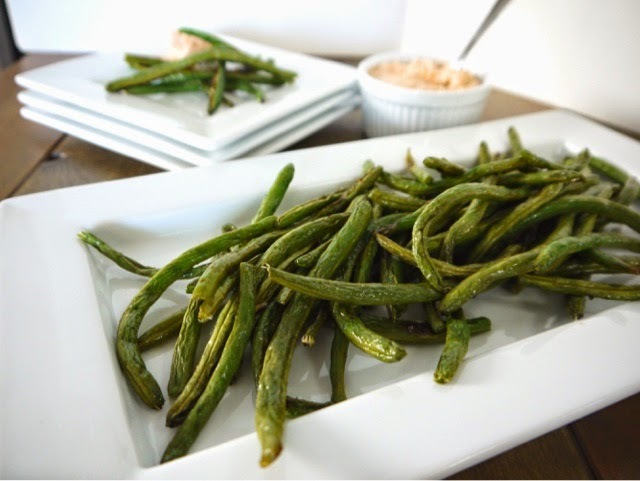 Green beans are a great, easy to digest vegetable. Fresh are a MUCH better choice than canned (no sodium used in packaging fresh beans!). For fries: Preheat oven to 425 degrees. Place parchment paper onto a large baking sheet. 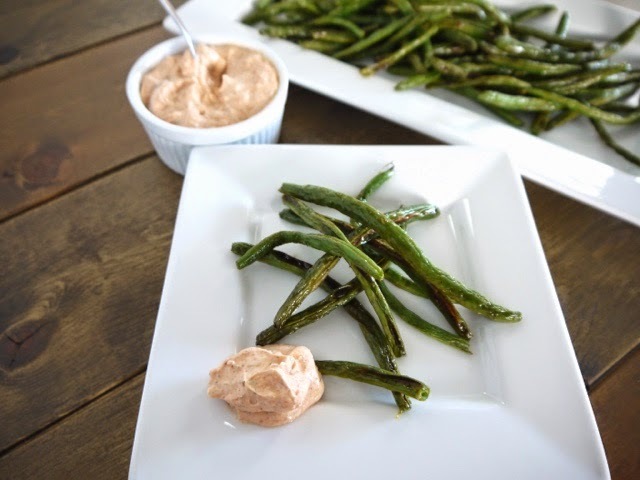 Lay green beans flat on the sheet and spray lightly with olive oil spray. Sprinkle with sea salt, then bake for 15-20 minutes, or until beans are lightly browned and cooked through. For dip: Combine all ingredients in a small bowl and whisk to mix well. Chill in the refrigerator for 1 hour prior to serving for best results.